Interested in trying a challenging adventure in arctic conditions? Then ice climbing is the thing for you! No previous experience is needed. Ice climbing equipment and certified guide is included in the tour. The tour starts with fitting you out with ice climbing equipment (alpine boots, crampons, harness and helmet). 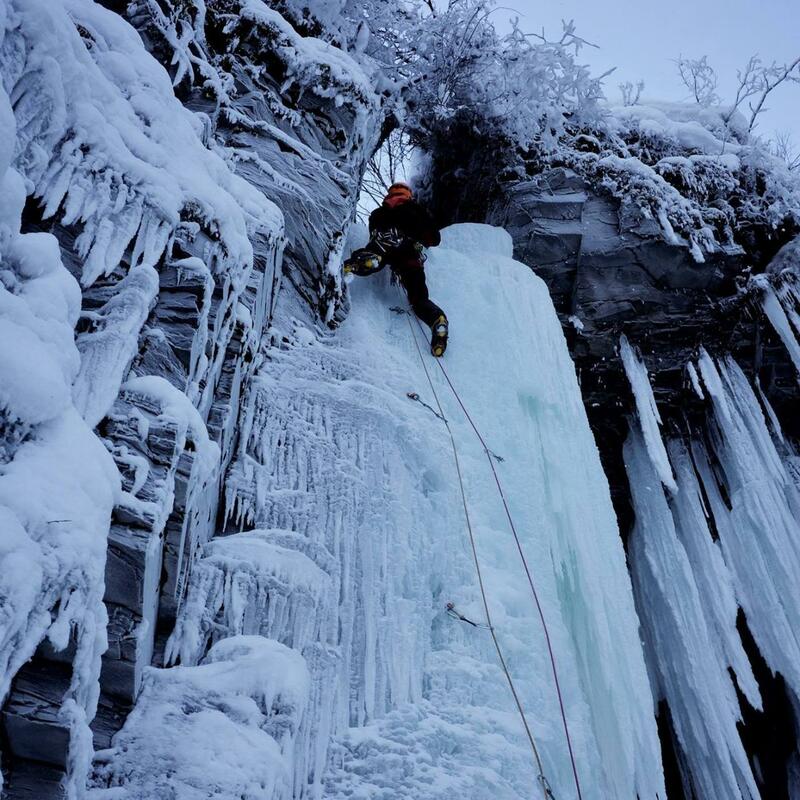 After a short drive to the ice fall your guide will take you through the first basic steps of climbing vertical ice. Make sure you dress warm and you will get one of the best arctic experience in your life! The tours starts at 9.30 and 14.00. Duration is approximately 3 hours. The tour includes equipment for ice climbing and hot beverages. Please be at the pickup location 5 minutes before the scheduled pickup time. If you wish to join this tour on another time/date than those scheduled, please send an email with your request to aril.p@abiskoadventure.se. Guests staying in Björkliden can book a transfer for this activity in the next booking step. After the trip you will be taken back to your accommodation. This trip can be booked online until 18:00 the night before. To make a reservation with shorter notice, please call +46 (0)73 508 82 77.